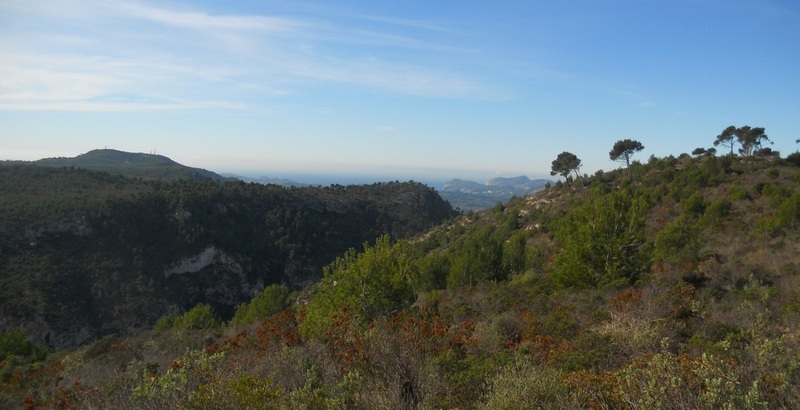 Running south west from downtown Palma, this hill range offers a great choice of tracks with fantastic views in a pretty much unspoilt environment. 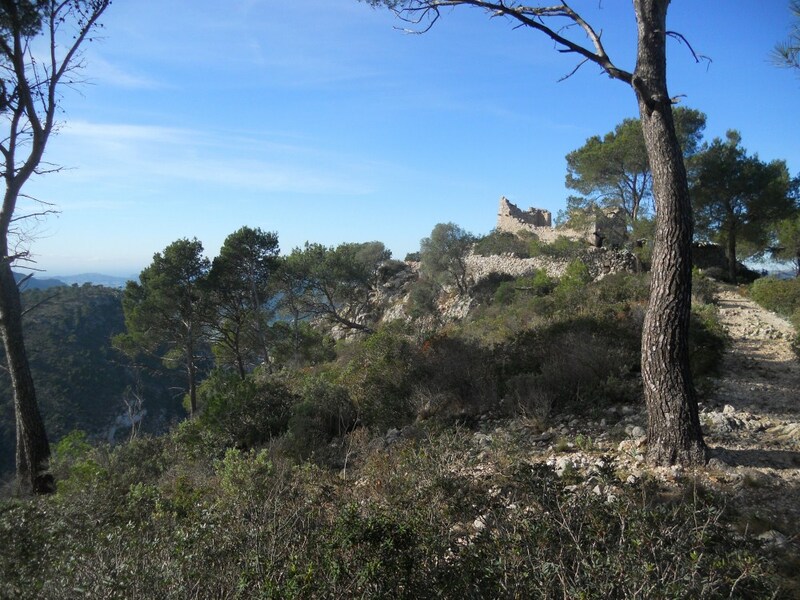 Being probably the most accessible hill range from town, it is deservedly popular, though the area is large enough never to feel crowded. 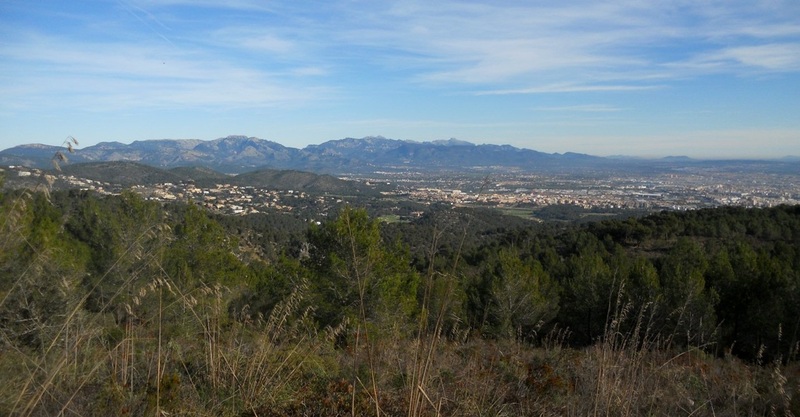 It is easily accessed from the suburb of Genova, or from the Coll de Sa Creu. The trails criss crossing the mountains used to be terribly rocky but were graded in the winter 12/13 and are now perfect for cross country rides. There are two easy access ways to the Serra de Na Burguesa. 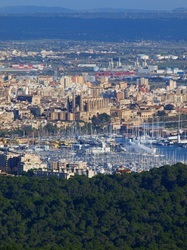 The first and most direct is via the suburb of Genova in Palma. 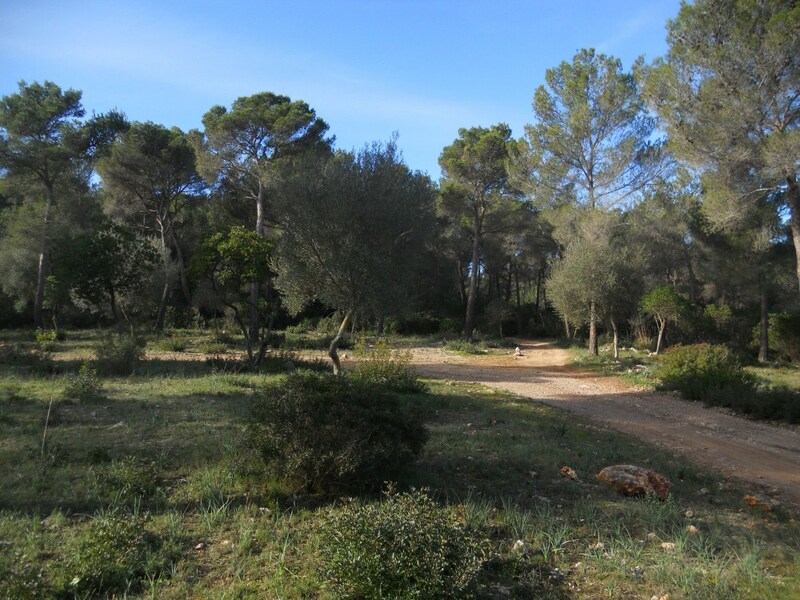 From downtown, take Av Joan Miro towards Porto Pi, turn right after crossing the small bridge past the post office (Correos) and go up the hill on the winding road passing in front of the hotels. 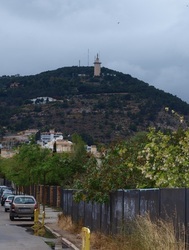 Keep going towards the very noticeable monument of Na Burguesa up on the hill (see photos), passing in front of Queens's college and passing above the motorway. Reaching Genova, go straight on and take the first right after Can Pedro Restaurant, sign posted Na Burguesa, a small, steep road taking you all the way up to the monument. At the monument, keep straight on through the only road going up and take the first dirt trail on your right. 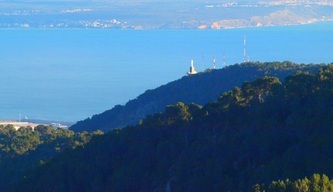 You are at point A, on your way to Coll des Pastor. 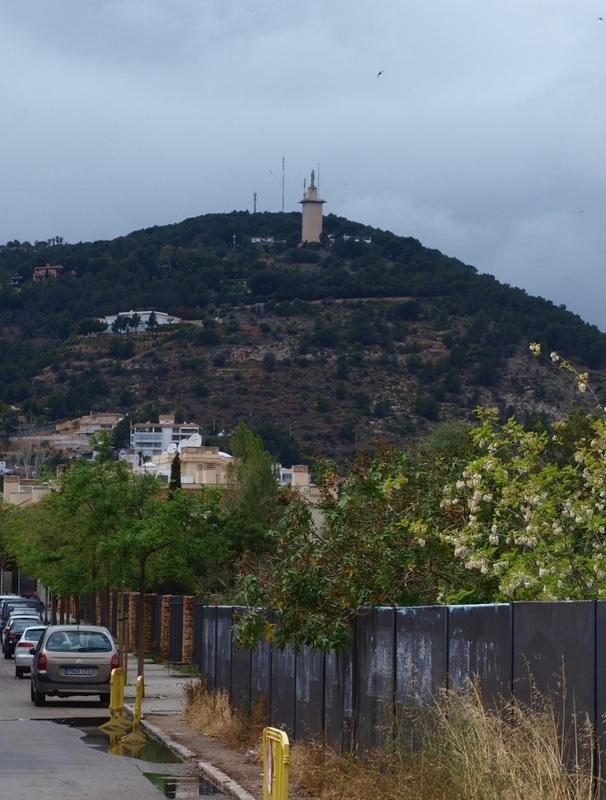 From point A, after enjoying the view from the Na Burguesa monument (the big ugly concrete pedestal is a 1960's creation, while the statue on top is generation Y), take the asphalted road marked 'No exit' and take a right hand turn on to the first dirt track. 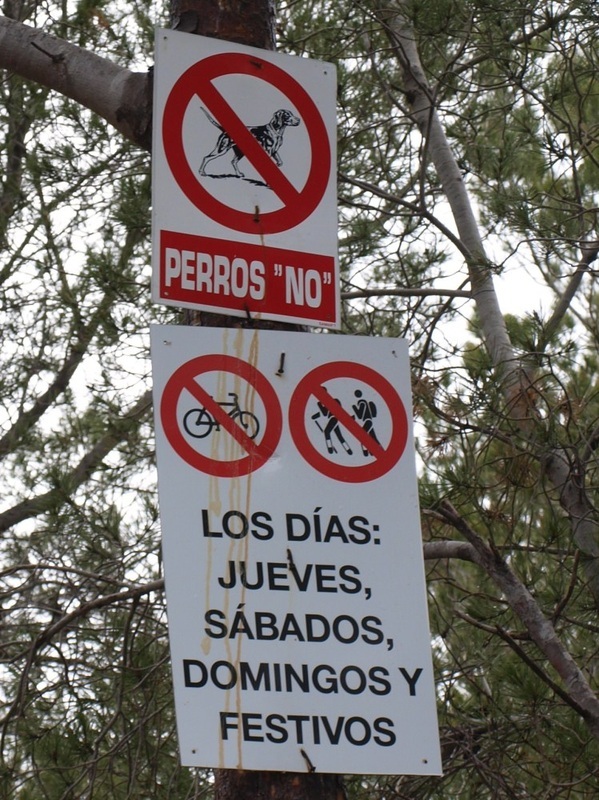 You will pass the antenna,, go over the wire stretched across the path,, ignore the strange signs of doubtful origin forbidding entry on certain days of the week (none of the forestry guards seem to care), ride on to the large pilone and further on to the Coll des Pastor. From point B, just past the Coll de Sa Creu, just follow the main trail. Crossroad D is not sign posted but perfectly obvious. The trail to Alzamora viewpoint (E) from here is single track, while the one to the Coll des Pastor is wide and nicely graded. 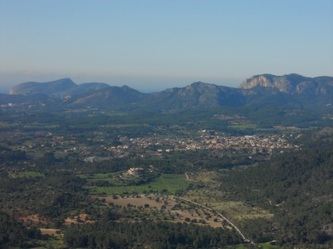 From Alzamora viewpoint (E), the views inland towards the mountains, Calvia and Andratx are fantastic and well worth the effort. 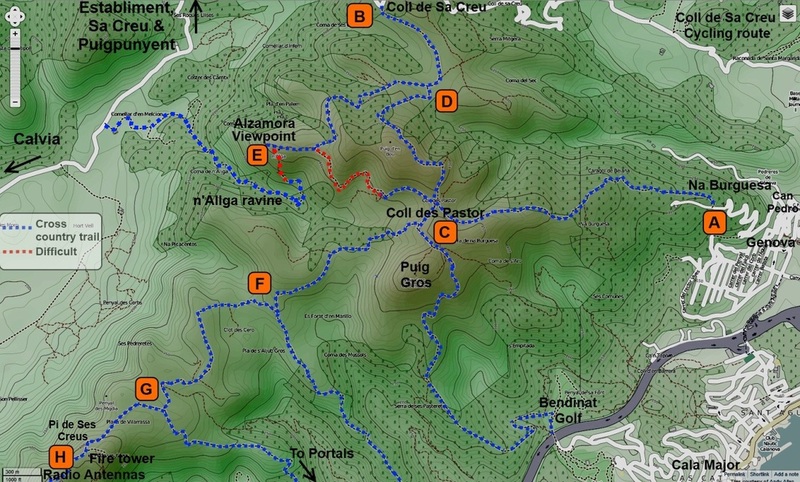 An easy to find trail branches off southwards some 50 meters before the viewpoint, leading straight down to the larger track running along the n'Alga ravine. The trail is well defined but very, very, steep and slippery. 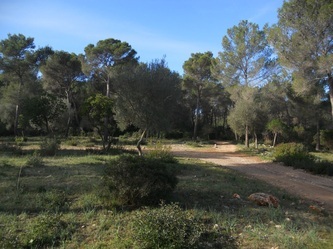 Dragging the bikes down is nevertheless possible, as the distance to the larger rideable track is small (a few hundred meters). 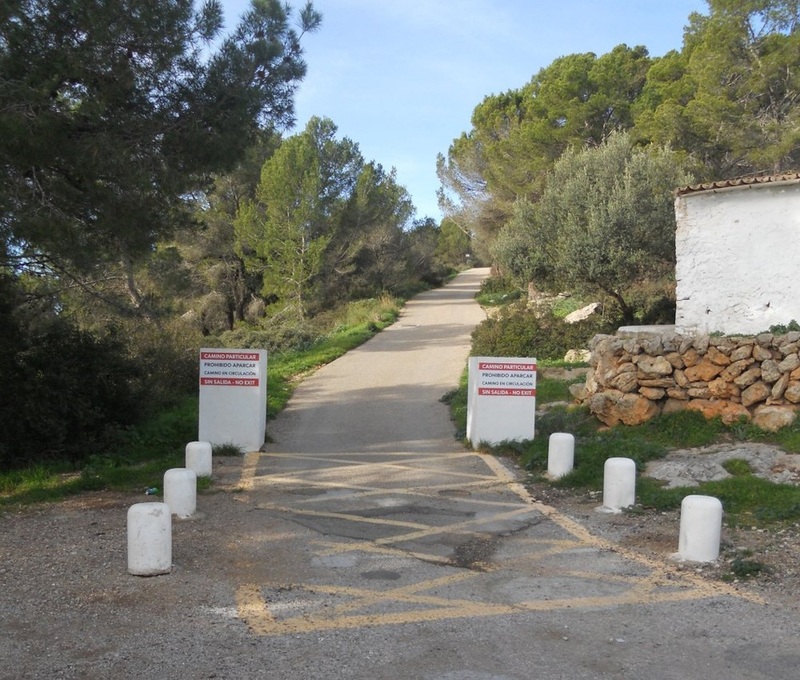 This is the fastest way to reach Calvia, but note that you will go through private land before coming out on the Calvia main road, so be discreet. 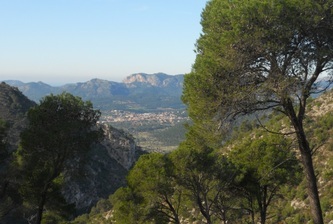 The Coll de Pastor, point C, is at the heart of the Serra and is where all the trails meet. 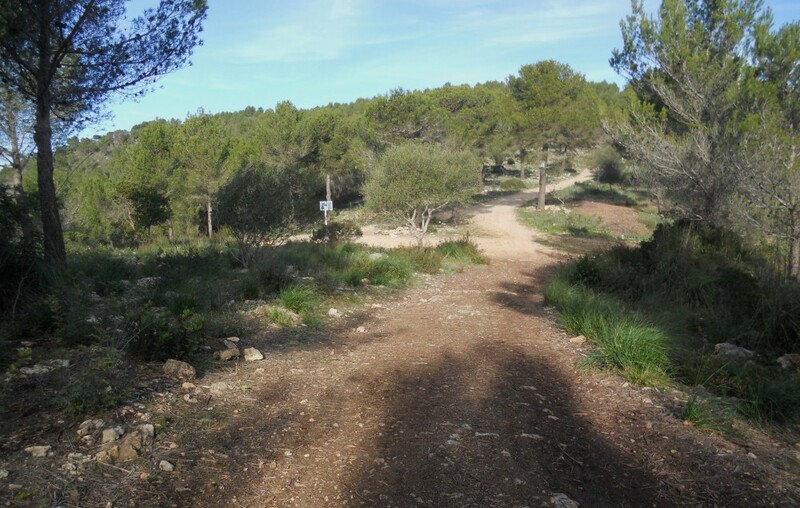 The trails from here (and from point D) to n'Alzamora (E) are single track most of the way. 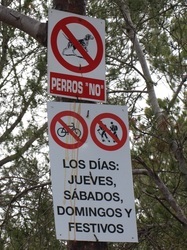 You can go straight down from the Coll de Pastor towards the Golf course of Bendinat on a good trail, sign posted at its start slightly past the Coll. 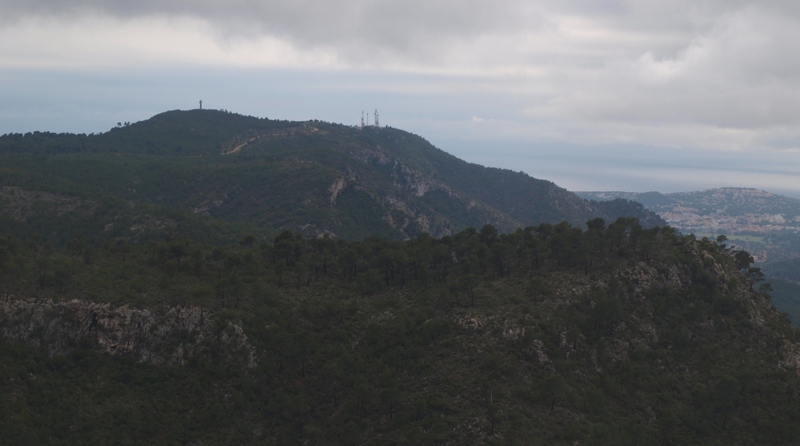 Otherwise you can take the long and mostly downhill trail following the ridge in a South Westerly direction towards the radio transmission station and fire tower (H) at the very end of the range. 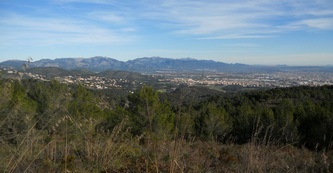 This is a great ride, with good (or more then good) views, on pretty good trails, not too steep but steep enough. The track ends at the signal station, from where you can back track to point G or F for the downhill to Costa d'en Blanes, commonly referred to as 'Millionaires hill', above Porto Portals. 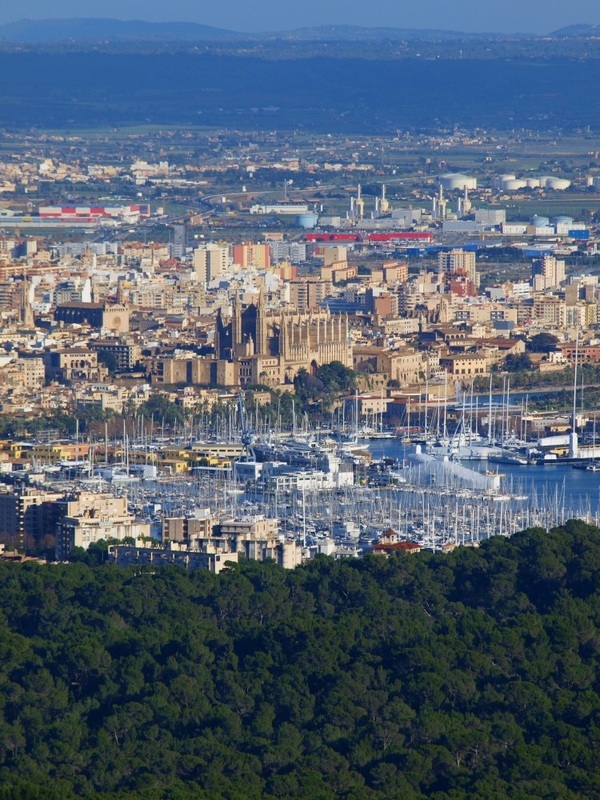 The cycle path from Portals will take you all the way back to Palma. 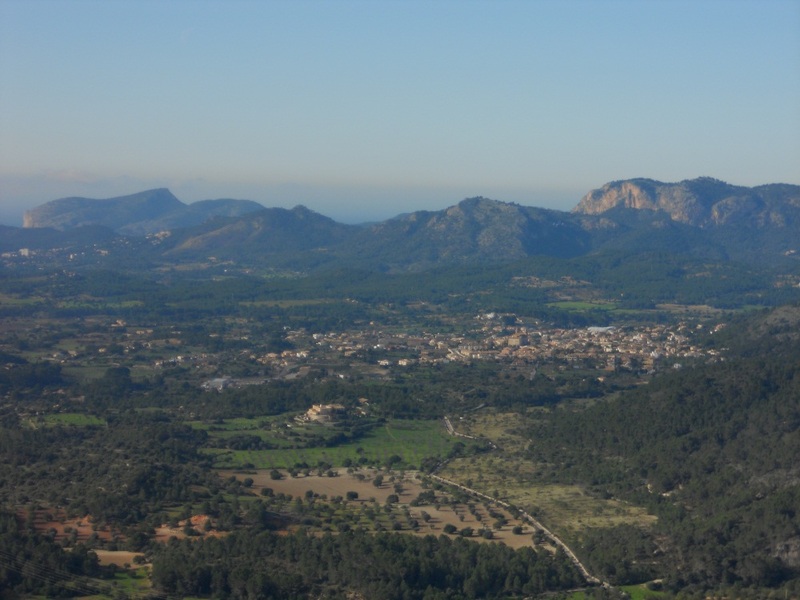 A good half day ride for a visitor would go Palma - Coll de Sa Creu - Alzamora viewpoint - Coll de Pastor - Pi de ses Creus- Portals- Palma, a roughly 40 km round trip with maybe 6 or 700 meter cumulated climbs. Shorter rides could go Na Burghesa - coll des Pator - coll de sa Creu - Palma or Na Burghesa - coll des Pastor - Alzamora -- n'Allga - Establiments- Palma..
You will find a printable PDF of this page here. The monument of Na Burghesa from Queen's college area.